Learn how you can create a workflow to transfer records and then associate the workflow as the action of an expiration policy in SharePoint Server 2007. Allow users to modify metadata but not file contents in Windows SharePoint Services 3.0 by using event handlers and by handling short-term and long-term check-out processes. Use a custom Upload page to ensure that an existing file is not accidentally overwritten during the upload process in Windows SharePoint Services 3.0. State machine workflows enable you to model real-world events and business processes. Learn how Visual Studio 2008 makes creating and debugging these workflows easier than ever. Learn how to create a sequential workflow for SharePoint Server 2007 to manage an expense report approval process. Learn how to configure and deploy a workflow to SharePoint Server 2007 using a solution package. Use Visual Studio 2008 to create custom activities in SharePoint Server 2007 that let you automatically send e-mail messages with attachments. 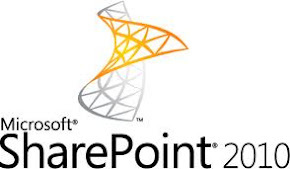 Use SharePoint Designer to create codeless workflows for SharePoint Server 2007 that can be attached to SharePoint lists.